The Sunset used to be a Chinese restaurant, and it shows through in the red-and-lanterny décor. 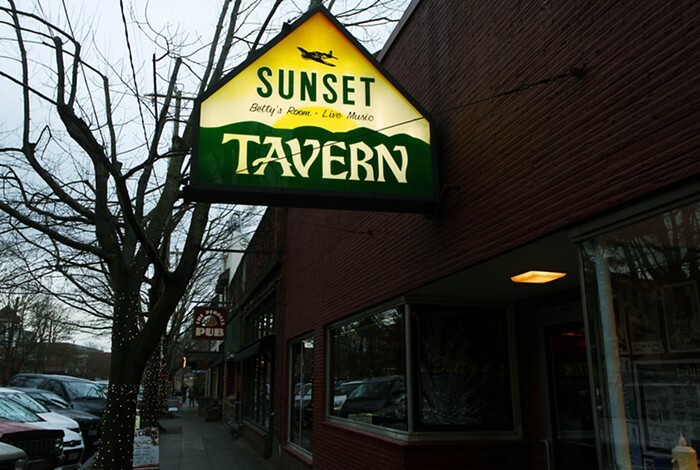 It's a divey rock-and-roll bar, and it's fun, with plenty of live music, karaoke, and B-movie nights. Soak up the booze with on-site Flying Squirrel Pizza.